Timo Kilp is an associate at Sony Innovation Fund, the venture capital arm of Sony Corporation. He is dedicated to investing in and engaging with promising early-stage companies, as well as pursuing potential partnership opportunities for Sony’s various business groups. Prior to Sony, Timo worked at JetBlue Technology Ventures, a corporate venture arm of JetBlue Airways. 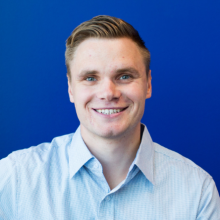 Timo also gained experience at boutique investment bank, Woodside Capital, and health tech startup, Augmedix.